I am super excited to share this colourful and delicious Chinese-style wok fried rice dish popularly refered to as Yeung Chow fried rice. History has recorded that Chinese restaurants all over the world especially in Indonesia, the United States of America, Vietnam, China, United Kingdom, Australia and Philippines focus on Yeung Chow fried rice recipe due to its very high demand by their customers. There is no doubt that the cooking ingredients often vary, but certain ingredients are usually the same. Since the year is coming to an end today, I thought it right that the Yeung Chow fried rice recipe is just the perfect recipe to end the year with as well as welcome a prosperous year 2015. 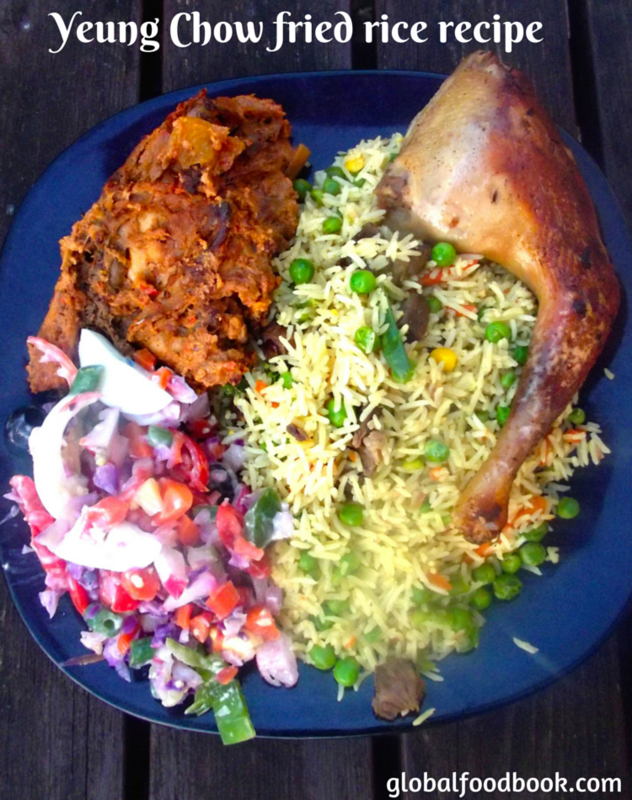 I can confidently tell you that my decision wasn't wrong at all because this rice dish came out very colourful, palatable and attractive. This Yeung Chow fried rice recipe called for parboiling the basmati rice for approximately 7 minutes since the rice is so delicate and cooks so fast. 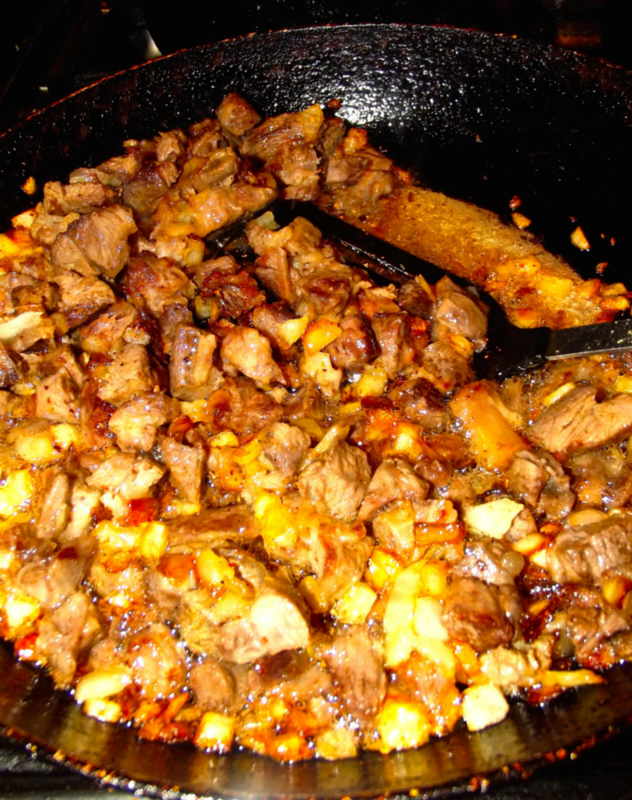 I also chopped the meat before frying with seasonings for some appetising tastes. 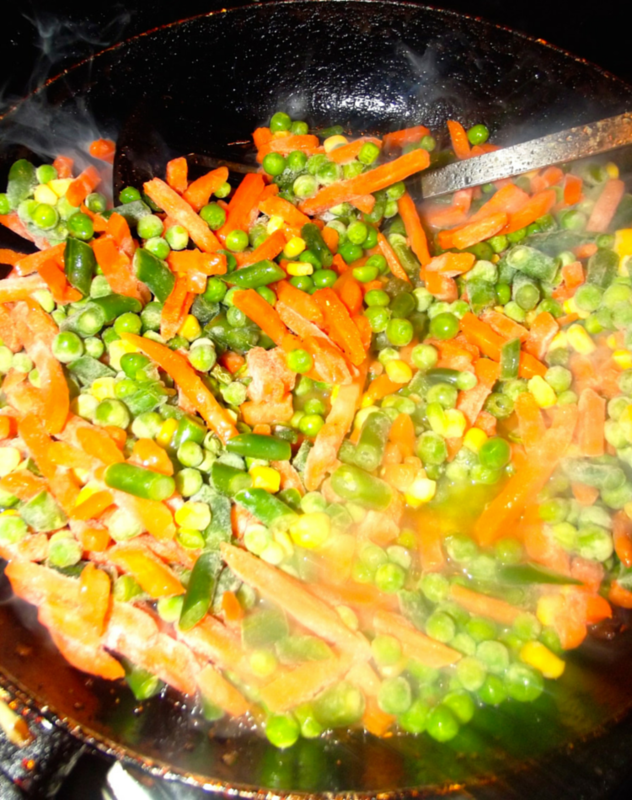 Moreover, stir-frying the vegetables with vegetable oil ended up giving the dish a super-duper taste. I insisted that the dish must be served with some fresh salads and it's just great that I still have some fresh vegetables I bought from the farmers market with some chicken from the meat market..... And there you go, Yeung Chow fried rice was set and ready to be devoured by hubby and I.
Anyways, all the best and welcome to a prosperous year 2015!!! Parboil the rice for approximately 7 mins, wash and set aside. Season the chicken with chicken stock cube, dark soy sauce, salt, chilli pepper and onions, add water then allow to cook for at least 10 mins. Meanwhile, season the chopped beef with dark soy sauce, salt, water and pepper then cook until done. Heat up oil and dry-fry the chopped boiled beef (set aside). 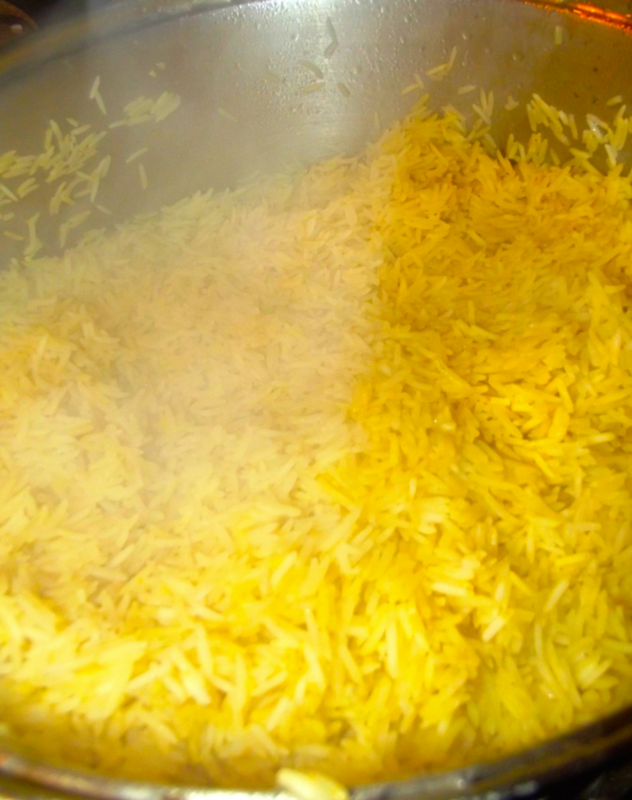 Add the parboiled rice into a clean pot, pour in the chicken and beef broth, then stir properly. Add curry powder, chicken stock, pepper, salt to taste and 2 tsps. vegetable oil. 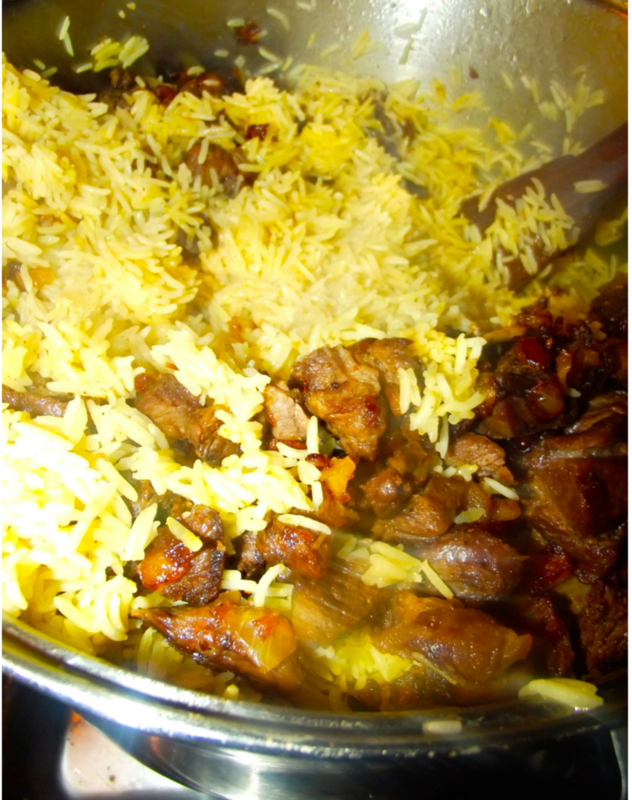 Stir the rice properly and allow to cook until the rice is done. B don't overcook the rice. Heat up vegetable oil in a wok or saucepan under high heat, stir in the chopped onions and fry until golden. Pour in the whisked eggs and stir continuously until dry. Stir in the carrots, green peas, sweet corns and salt to taste. Continue stirring until the vegetables are properly cooked. 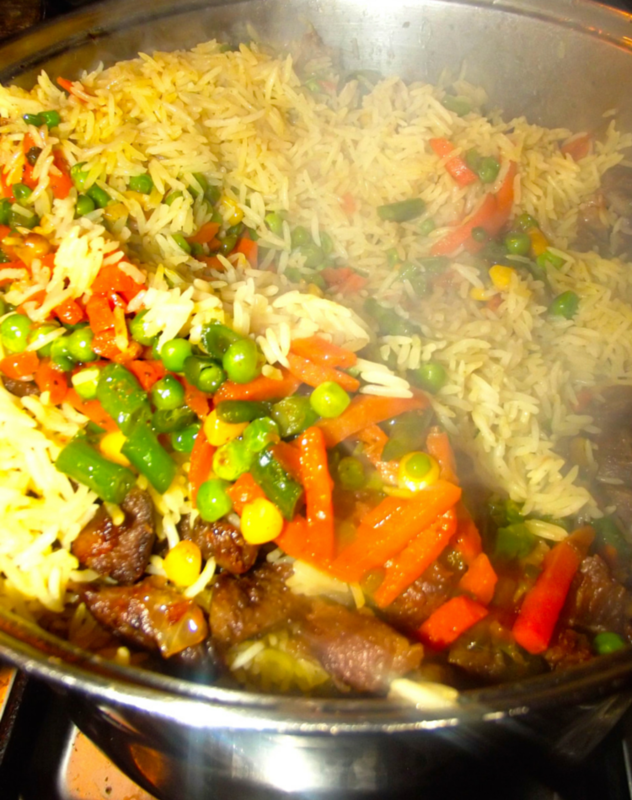 Then add the fried vegetables with the fried chopped beef into the cooked rice. Stir very well so that all the ingredients are thoroughly combined. 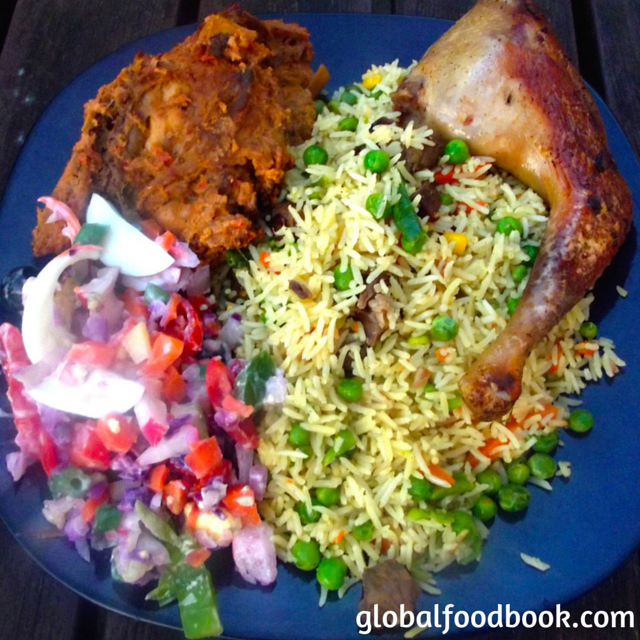 Garnish the rice dish with salad and fried chicken and serve warm.